I thought I would share some exciting news with all of you today! 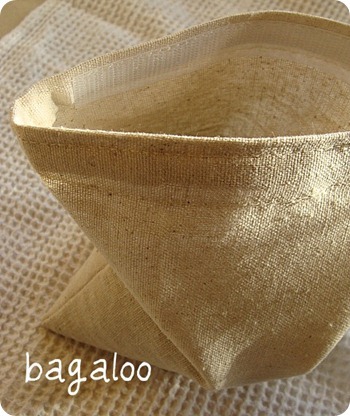 I have created a new product line called, Bagaloo! 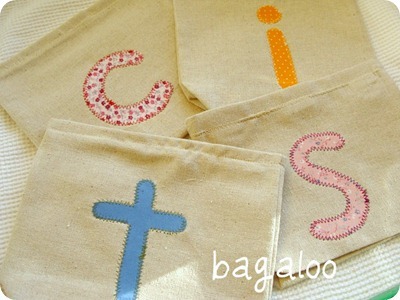 They are cloth bags and baggies for you and your home! With so much plastic being thrown away each and every day, why not eliminate your waste and carbon foot print by using cloth instead! I have snack and sandwich size bags to fit every need that you may have. Great for kids, traveling, lunch boxes and so much more! 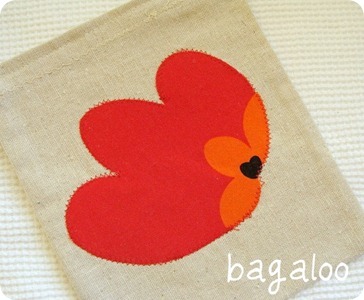 Each bag is 100% cotton and hand made by me. They each have a velcro closure to ensure nothing will fall out. Clean up is breeze, too. Just dump out the crumbs or throw in the wash! 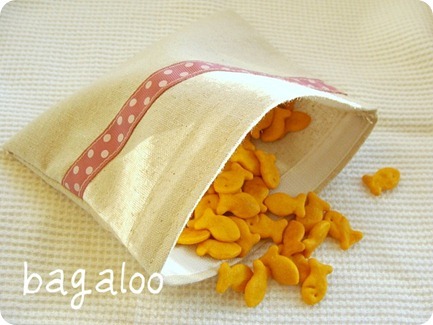 I am making some bags that have a nylon lining for messier foods so be sure to look for those, too! I have decorated them with ribbon, appliqués, or plain – each customizable for your unique personality! 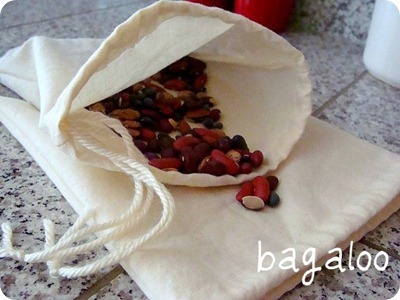 I am still making my reusable produce and bulk bin bags for all of your shopping needs. 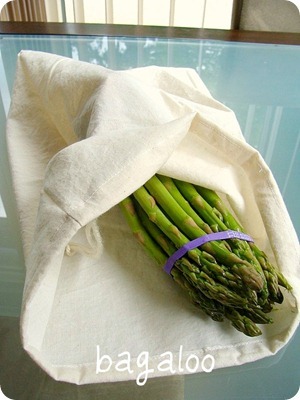 These are great to use with your reusable shopping bags! I am still adding items, creating designs and would love your input! if you have any comments, suggestions or questions please speak up! 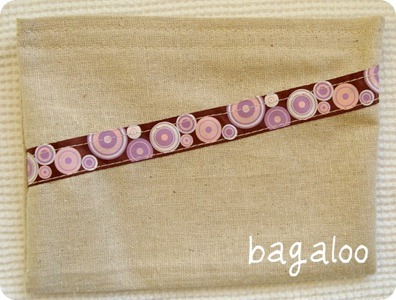 Please feel free to browse my shop!